The ESGE Days 2019 call for abstract and video submissions is now open. ESGE wishes to engage with participants by opening a forum which offers authors the opportunity to discuss and disseminate their work on an international stage. 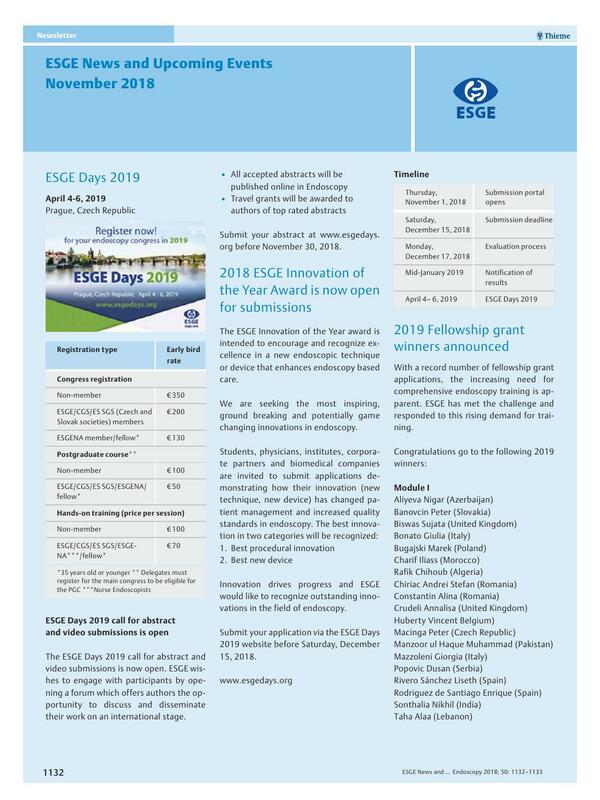 Submit your abstract at www.esgedays.org before November 30, 2018.